This professional cuddler has so much love to give and is searching for her special forever home! Addie has immune-mediated polyarthritis requiring front leg braces for daily activities, but this ROCKSTAR doesn't let that get in her way! 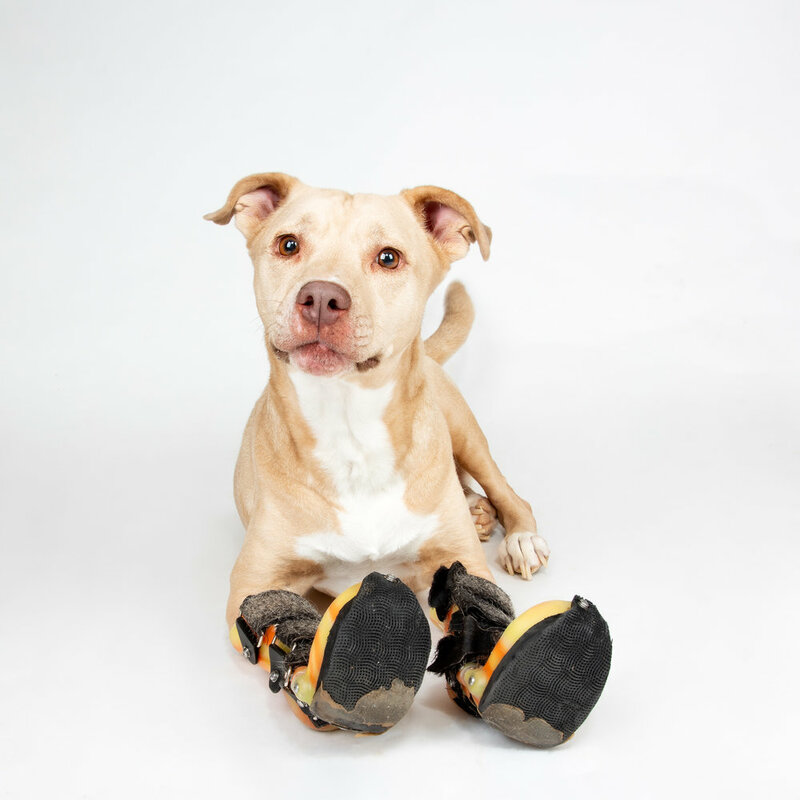 Addie is an inspiration to everyone she meets, and might not be an olympic sprinter, but she does enjoy a leisurely walk from time to time and would especially enjoy curling up next to you while you watch your favorite movie. Be careful though, she might sneak in a kiss....or three! Adopter's who will continue her medical follow-up care.